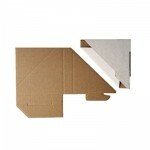 Strong 1.5mm thick corrugated cardboard corner protector CCP, to fit most wooden frame profiles. 100mm x 100mm x 20mm deep. 100mm x 100mm x 30-40mm deep. Click tongue holds CCP into frame corner. 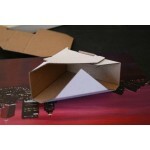 Strong 1.5mm thick corrugated cardboard corner protect..
Strong 1.5mm thick corrugated cardboard corner p..
Strong 1.5mm thick corrugated cardboard corner..
Strong 1.5mm thick corrugated cardboard corner protector CCP..
Strong 1.5mm thick corrugated cardboard corner protector C..